What music instructors need is a way to easily converse with both student and parent in a comprehensive fashion. At times all instructors have struggled to convey the necessary information PLUS create a full curriculum from scratch. Most instructors require multiple books from which to teach. Most students end up paying for, on average, one book every six months. Parents often struggle to understand exactly what it is that their child (the student) is supposed be practicing, and to what standard. Beginning at the beginning is an unusual quality in most music books today. The UDKLM diligently and actively pursues the student’s arrival into the intermediate stage of drumming from ground zero. And the learning methods will take the student as high as he or she is willing to go. 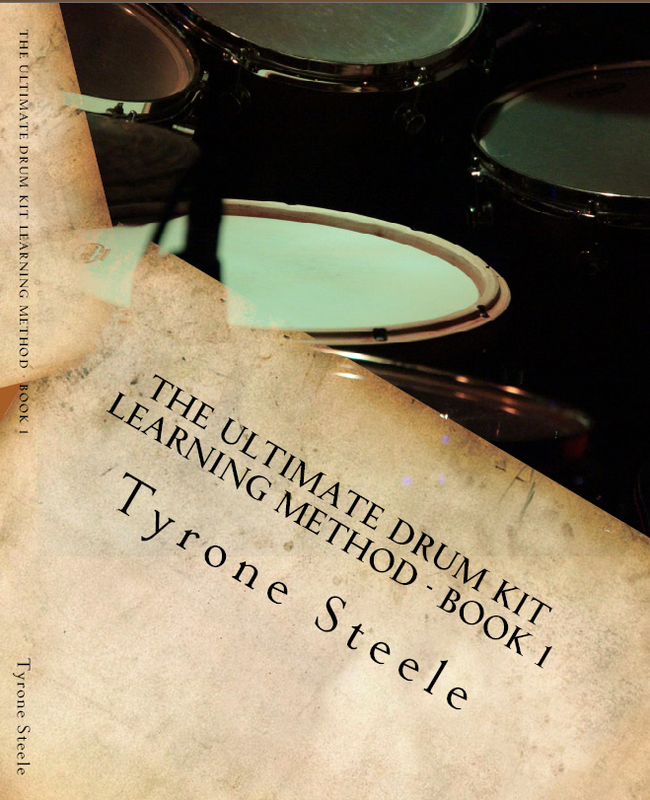 Including dozens of illustrations, videos, instructions, references, free access to online 30+ song transcriptions and over 50 curriculum pages, this book should be on the shelf of every instructor and serious drum student. The UDKLM is a comprehensive and versatile manual, including a multitude of professional quality videos, that will guide the student from beginner to intermediate levels with the assistance of an instructor. More than a simple drummer’s book or basic curriculum, this book is an indispensable and comprehensive PACKAGE that will guide the both the instructor and student eloquently from a “new to the sticks” beginner to a fully qualified mid-intermediate player. And since I am a fan of mixed martial arts, and because there are so many similarities in training for both martial arts and the art of drumming, in my mind drumming is in belt-rank order, or levels. As a “no belt” you are just beginning. You know nothing, or very little, and what you do know will likely need correcting or reversing. As a “white belt” your knowledge has just begun. Your understanding is blank like the white pages of an unwritten book. As a “yellow belt” your knowledge is like the rising sun. You have just started to see around the corner. “Orange belt” is explains that your drumming skills have become stronger like molten iron that is just beginning to set. As a “green belt” your skills and knowledge are becoming grounded like the roots of a plant. And we stop there in this curriculum. In future curriculums you will see blue and red belts. Black is reserved for those who are approaching “master” levels. Not quite there, but only masters may teach them. The largest troubles I find with most drumkit books is that they are not oriented around actual teaching, not having defined an A thru Z method. Most of the successful (and timeless) books on drumming have mostly one thing in common: they are filled with virtually nothing but sheet music and take the student’s skill level from A to Z. But even those timeless books to not address the instructor. That is the main difference. This book is for both and meant to be used by instructor and student for teaching and learning, respectively.